Let’s start with the obvious question – what is a brand? A logo and a catchy tagline?? Purleeease! We know better than that now, people are brand smart and can see straight through a stock library logo and a nifty gif animation. A brand needs substance. It needs a story and a set of values, a personality and a voice. A brand is everything that an organisation encompasses, from how it looks and how it sounds, to its beliefs and ambitions. A good-looking logo with a clever tagline no longer cuts it. Brands are competing in an increasingly over-crowded market, hammering on the doors of a time-poor and over-stimulated audience. The value of a brand is at an all time high. Good commercial businesses have of course recognised this value for a while. They invest the time and money into developing a solid brand and, when successful, enjoy the benefits. Charities have a tougher time. It’s a bigger challenge to justify a rebrand, especially without tangible results and with the consideration of all involved. However, it is becoming more and more essential for charities to follow suit, take the branding plunge and tap into the psyche of today’s brand savvy public. We’ve put together a quick-fire do’s and dont’s list based on our experience within the charity sector, including some insights from the lovely people we’ve had the pleasure to work with. It’s tempting to rush into the fun, creative bit of a rebrand – what colours and fancy fonts you could use – but skipping ahead is a dangerous game that can be disastrous for the end product. Always start at the beginning (not as obvious as it might seem), and focus on the heart of your organisation. Start by shaping your mission, vision and values – who you are, what you do and why you’re doing it (this is the juicy stuff for a branding agency, we want to know every single detail!). Consider long-term plans and paint the biggest picture you can. Map out where you are and where you want to be – your brand is the vehicle that will drive you there. Your brand strategy naturally stems from your mission and vision – you know what you want, now you need to work out how you can make it happen. Analysing your competitors and your positioning in the market will help pinpoint your unique offering. Research is well worth the time investment – put it this way; you wouldn’t want to end up wearing the same dress as someone else in the queue would you…awkward. The tricky thing with charities is that they generally have a lot of different audiences, from the public and loyal supporters, to stakeholders and members of staff. You need to be able to talk to all of them coherently and your brand needs the flexibility to allow this. For instance, you might want to tell the public an emotive story that they can empathise with, where as a sponsor will want to hear the detail of the work you’re doing and how finances are being spent. Both messages need to stay true to your brand and be delivered with the same tone and feeling. Yes, audiences again. Kind of. This ‘do’ here is more about all those people directly involved in the organisation – the ones you need to listen to and get buy-in from – which is basically everyone. 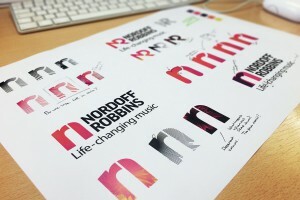 When rebranding Nordoff Robbins we did a huge amount of groundwork – focus groups, questionnaires, interviews – we needed to know every aspect of the charity and people’s opinions gave us the best all-round impression. With everyone chipping in you’re naturally taking them on that brand journey. Don’t just present the ‘what’, explain the ‘why’ and instill pride and commitment for the future. Emotional connections are the best kind, you want to engage and lodge your brand into people’s memories. Telling stories helps, as does making people think and (most importantly) feel. Always be transparent with everything you do and say, trust is essential to making any kind of connection. People understand what they know, give them something tangible. If people are able to equate their donations to an end result or a knowing outcome, this is a very powerful tool indeed. This one works as a ‘do’ and a ‘don’t’ really. Do invest the time in nurturing your new brand, spending time on the roll out and flexing it across comms – don’t fall at the last hurdle. Allow for all cases (like in-house production – yes, that probably means using MS Word! ), and make sure everyone is on board and aware of the new brand. Organise workshops to explain your values, personality and tone of voice. Circulate your new guidelines and create a suite of handy templates for such ‘Word’ occasions. The rebrand process is there not to reinvent who you are or what you do, it’s a chance to take a step back and remind yourself of your core beliefs and values. Less is more (classic). Simplify your messaging, clarify your offering and be accessible to all. It is a long process that involves a time and resource commitment, and yes, a sensible budget. 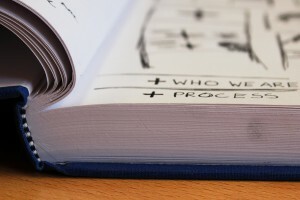 Some stages may seem unnecessary and woolly at the start, but a good agency should explain how they’re all integral to a successful brand strategy, and completely worth it in the long run. Hopefully you’re now better prepared to tackle your branding project, with a little less fear and a few more branding buzzwords up your sleeve. Good luck and enjoy the process!